Availability: Yellow - May through March, Purple - May through October. Handling Tips: 36-40°F. Sprinkle lightly. General Information: Entirely edible, these beans can be eaten raw, steamed, or used in soups and stews. 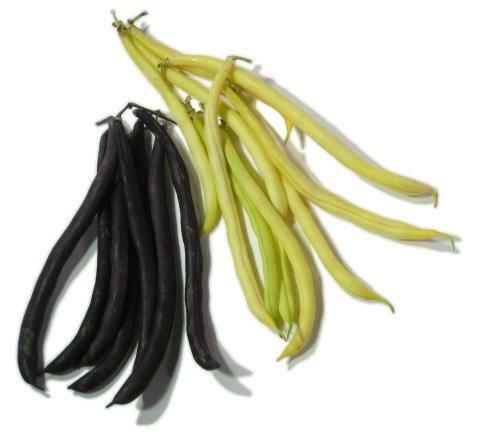 The purple bean will lose most of its color when cooked, the yellow will not.